You are at:Home»Living»Sony Vaio Laptops Reviewed: Still A Contender In 2017 & Beyond? Is Sony Vaio Still a Contender in 2017? What Should I expect for $2000? Ever changing technology sometimes makes it very difficult for a company to stay competitive with the other companies out there. 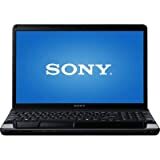 For example, one company might have to charge premium prices for mediocre quality goods, so let’s see if Sony Vaio is still a good choice for consumers today. If you are looking for a machine with an extended battery life of fifteen hours, then you have found your machine; however, you are going to be paying a hefty price tag of $1799. For almost two grand you will only receive eight gigabytes of ram and an Intel Iris 550 Graphics card. This is an on board integrated video card so I wouldn’t try to do any kind of gaming on this machine because they won’t run worth a crap. Sony will also toss you one more bone and by that I mean, you get only a 256 gigabyte SSD. Really Sony, for almost two thousand bucks that is the best you can do? Honestly, that is down right pathetic and it is a waste of money. For two grand you could go buy yourself a pretty snazzy laptop with way more features, hell you could even buy a badass desktop for two thousand dollars too. You aren’t paying for power or quality here, but you are paying for a brand name. If you don’t know much about tech, then you should always, always shop around. It will even pay to call certain companies and ask what different hardware does and if they have something that can fit your personal needs. When you buy any kind of technology, always think about what you are using the specific device for. Also ask yourself, “what will you be doing, and how will this specific machine help you in your everyday life”? Two thousand dollars is a huge investment and if you are wanting to run new games or run any type of developer programs, then you need to stay away from this company. Sure, their products do look sleek with the ultra slim designs, but do you really want to sacrifice your happiness for looks? I think that is highly doubtful. If you do, then you are just plain stupid, sorry. Before I hack and slash through Sony’s crappy laptops, I am willing to give a few more a look just to be nice. Well, I am trying to give them the benefit of the doubt anyways. 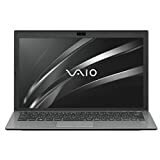 If you buy the Vaio S you I believe you will also be disappointed because this also has an on board graphics card, but the starting price tag is $1099. This is still not reasonable due to the fact that this option will only give you about one hundred and twenty eight gigs of storage space and an Intel i5 generation processor. I feel like these things are sold at Wal-Mart, and you should NEVER buy a computer from Wal-Mart. I don’t care if they say that this machine only weighs two pounds, because weight won’t matter if you aren’t able to do the things you would like to do on it. If you choose to upgrade to the Intel i7 processor and Windows 10 pro, you will be shelling out four hundred more dollars. So, we are almost at two thousand dollars again for a mediocre lightweight laptop. They do offer eight gigabytes of Ram on this machine too, but we don’t know if it is regular DDR, DDR2, DDR3, or DDR4 because someone forgot to list that on their product specifications. Epic fail from Sony in my opinion. When you are making huge investments in any type of computer you should always check to see if the product you are eyeballing has a graphics card, and steer clear if you find out it has an on board, or integrated graphics card. If you use any type of search engine to find a decent computer, then you should stumble on a couple companies that will offer some killer hardware for this kind of money. You need to also check to see if the machine itself comes with the most current copy of Windows, and in this case it is Windows 10. You should also make sure that you are getting the most up to date Ram in your newly purchased machine, and right now I would look for machines that have DDR4 in them. Moreover, most competitively priced computers at this price range usually will come with at least a terabyte of hard drive space which makes it perfect for installing all of your games, music, and software. These Sony Vaio computers that only have two hundred and fifty gigabytes of storage are made for very specific purposes, so this further limits their potential for utility. I am sure if you read at least three or four sentences in this article, then you probably can already guess my verdict; however, today is a special day and I have a special verdict for all of you readers out there. If you purchase one of these machines from this company you can look forward to having an overpriced paperweight, but I have some very interesting solutions to fix this problem for you! My first solution is that you call Sony up and tell them you want a refund, and you want it NOW. If your warranty has lapsed, or you are unable to refund it for some reason, then lay this hunk of junk on a pile of concrete and grab the biggest sledgehammer you can find and smash this thing to bits. Don’t forget to wear your safety goggles though! You might be thinking, “but I don’t own a sledgehammer though”. No problem, just grab your best buddy and take it outside on a sunny day and use it as a frisbee! You probably will get much more entertainment by using it that way anyhow. 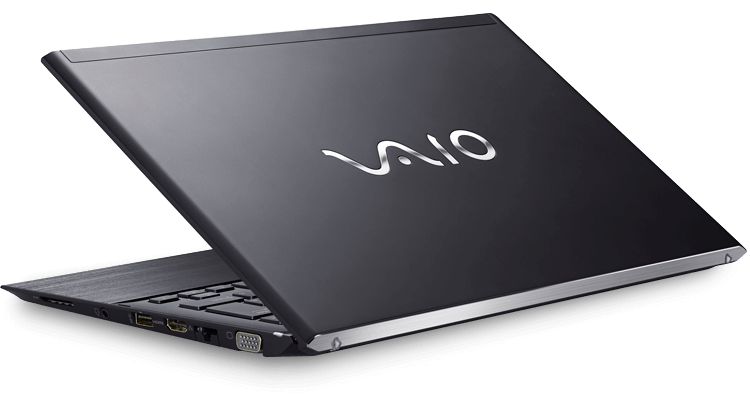 To answer the first question in today’s article, no Sony Vaio is not a contender in 2017. I would equate this company with the e-machine pieces of crap, and not because they offer old technology, but because they offer crap for huge chunks of money. We need to keep these kinds of B2C companies reaching the mass market, but unfortunately Sony products have already left a huge brand imprint on many consumers out there due to their other great products. Try to never assume that a company you trust for one product is great for buying a different product. The Best Badass Laptops Under $1,000 & $2,000 With 32GB RAM, SSD Drives, & More! Is Asus The Best Laptop Brand? 15″ or 17″ Laptop: Which Is Better To Buy For School? For example, don’t buy a car from a company that is known for selling hardware supplies, no matter how great they have treated you in the past. I know what you are going to say, and it is confusing in a sense. Yes, Sony makes all types of electronics; however, they don’t really specialize in computers. They make great game systems, great phones, great televisions, but not good high end computers. I don’t know what was going through their minds when their average VAIO price is two thousand dollars, but it wasn’t a great idea! Final thought, steer clear!